DOMOTEX asia/CHINAFLOOR 2019 invites you to join the leading flooring trade exhibition in Asia Pacific and the second largest worldwide. The 2019 edition of DOMOTEX asia/CHINAFLOOR be held from 26th to 28th March 2019 at Shanghai New International Expo Centre Pudong, Shanghai. DOMOTEX asia/CHINAFLOOR 2019 features a history full of success and continuous growth in size, numbers and quality. 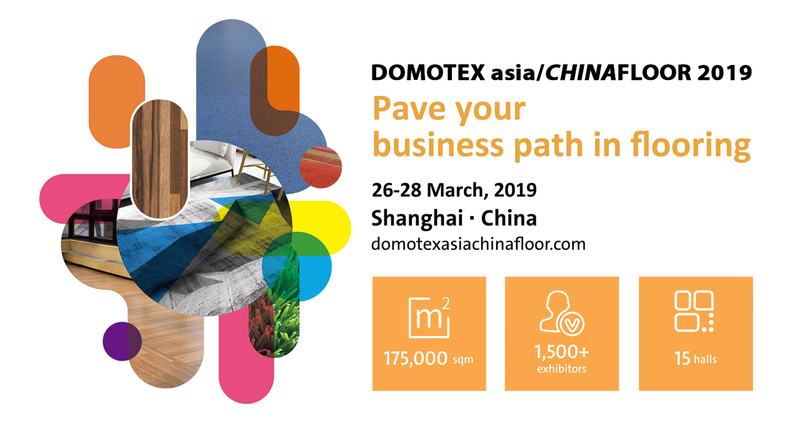 DOMOTEX asia/CHINAFLOOR 2019 is the B2B flooring show not to be missed if you're planning to access and expand your business in the fastest growing Asian markets. 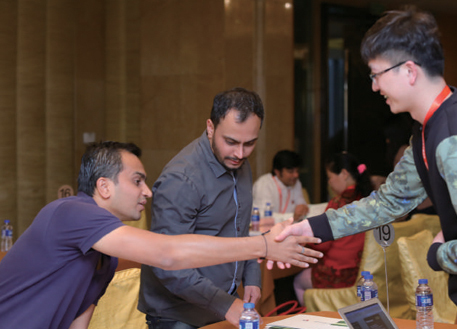 This platform facilitates the communication within the industry by presenting the developments of the floor covering industry in Asia and beyond. It also brings numerous business opportunities from which domestic and overseas exhibitors gain maximum exposure for both their brands and products.Flooring professionals from all around the world, meet together every year at DOMOTEX asia/CHINAFLOOR 2019 to discover innovative flooring ideas and simply make business happen. 1,418 Total exhibitors, 303 Overseas, 1,115 Domestic Exhibitors, 35 Countries and region, 8 Country pavilions. 60,029 Total visitors, 45,791 Domestic Visitors, 14,238 Overseas Visitors, 104 Countries and Regions.